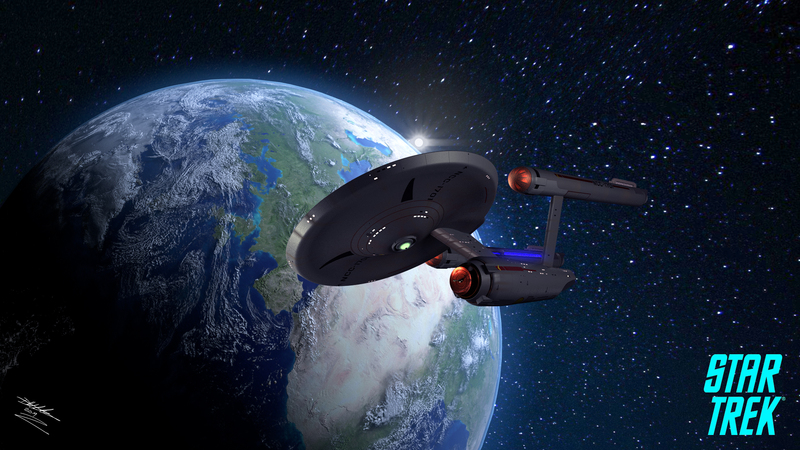 This will be the last Picture I will be using my TOS Enterprise for a while. 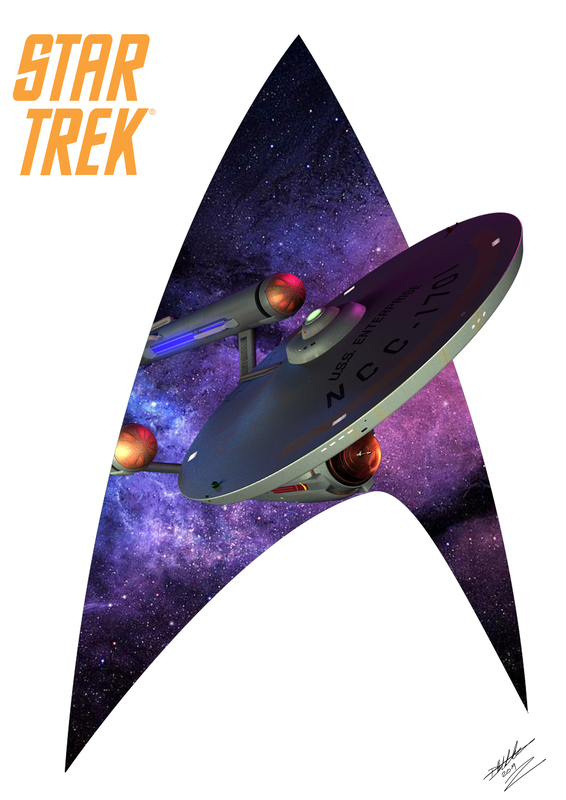 I plan to build my own version of the TOS shuttle and also get back to doing some painting. I don’t think this picture work as well as the last one. I was going for another poster look, but I think it more of one of those early 90’s pulp novel covers. Just a playing around with an idea for a poster. 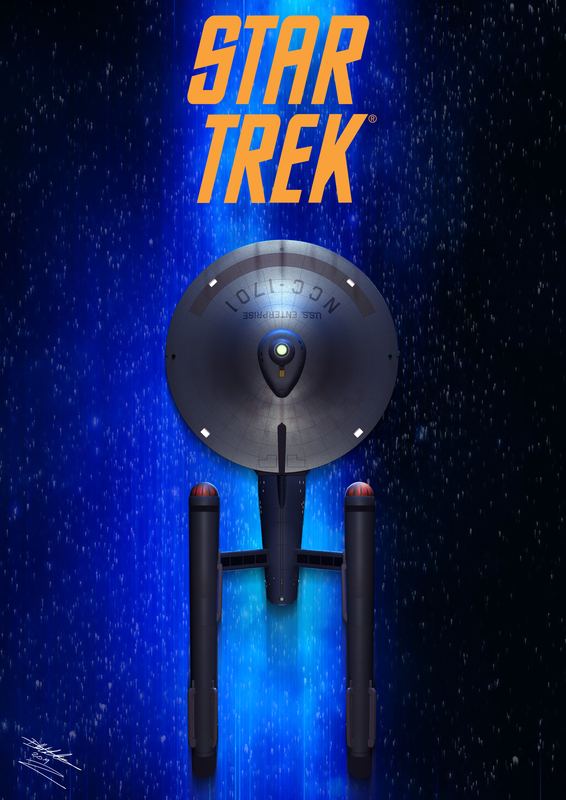 I really like the way this turned out and I might have to do one for each of the different Cannon Trek Series. As I don’t have any decent models of the other ships, it might be awhile until I do more in this style until I get them built. Computer Voice: There have been nine Federation ships with that name. Seven in the Cannon Timeline, Two in the Kelvin Timeline and one in STD Timeline. Please specify by registry number and Timeline. Scotty: N-C-C-1-7-0-1. No bloody A – B – C – D or E! No Bloody Kelvin or STD Timelines!! I have not touched Blender for some time and was getting the itch to do some modelling, I though it was time to do something I never done before. I have never built the Original Enterprise from Star Trek and though it about time. 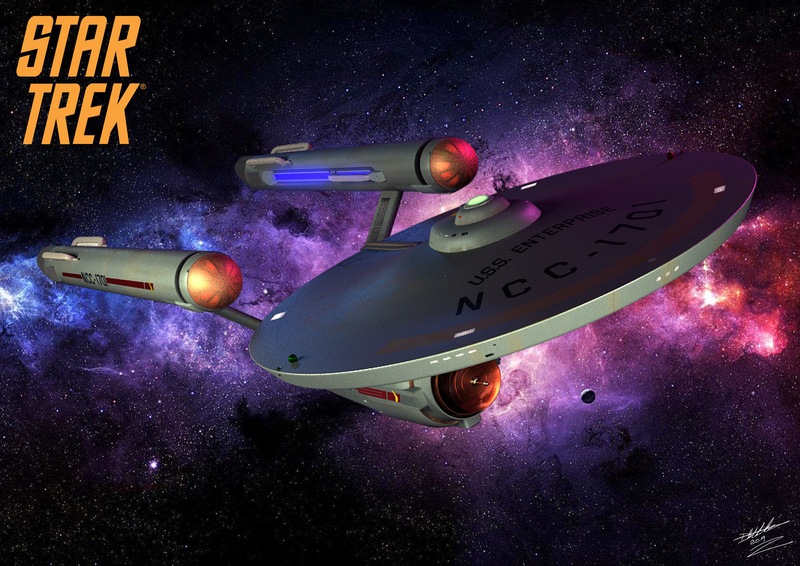 Eric Reinholt better know as Scifieric on a number of Sci-fi forums has done a great Tutorial Serise on how to build this ship for beginner to Blender. He also give a great bit of history on the original shooting models for the show with each part of the tutorial. As it been so long since I did anything in Blender and forgotten a few thing, I though this would be a great way to refresh my memory. If you are intreated in building this great ship and don’t know how or even if you are new to Blender, you can follow Eric’s Tutorial here. Blender is an open source and free to use 3d application. If your interested in doing Eric Tutorial and don’t have the software you can download it form here. After finishing following Eric Tutorial, here is a quick a simple Orthros Picture of my build. 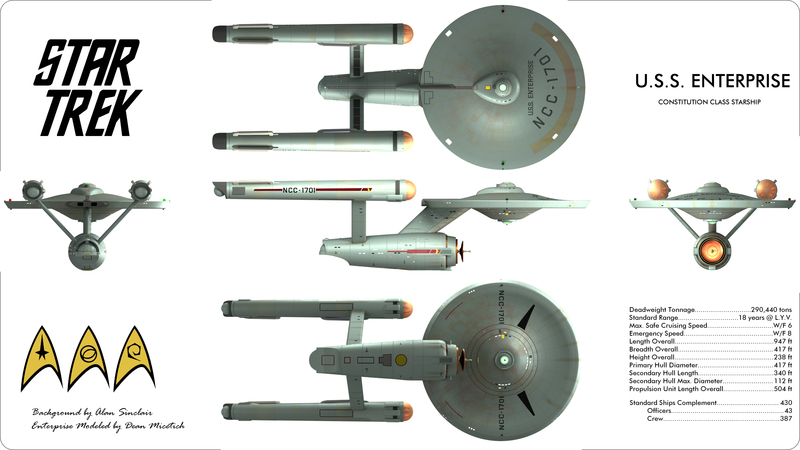 I used Alan Sinclair Orthros from his Blue Prints for the Enterprise and replaced his drawing with Renders of my Model. As I have used Alan Work to cerate this picture I have added his credit onto it, along with my own. More Pictures of this great ship will follow soon with more Builds from Blender. With this peace I wanted to try out an effects with Smoke. This was a lot of trail and error but I got there in the end. here it is with the smoke effect. I have been doing pin-up for a while now, but I have not done a picture of a girl in a classic pin-up pose. So to correct this, I have done this.